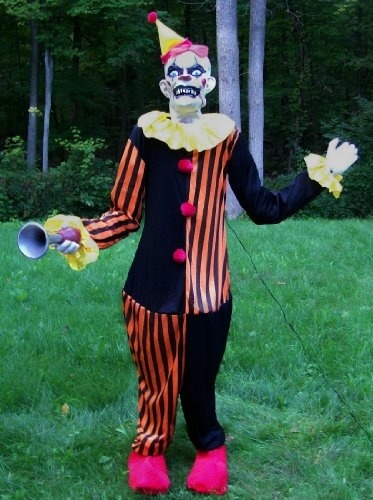 If you love creepy clowns Seasonal Visions has something special in store for you this year. They are introducing the 7 foot Evil Clown for 2017. This is a new animated prop and it’s one that I will definitely consider adding to my collection for the upcoming Halloween season. The clown’s hips move from side to side as he talks to your guests. As he moves circus music plays in the background which is a pretty cool effect. The prop’s mouth moves as he talks and has two creepy phrases he will say when he’s not laughing. He comes in a red and white striped outfit. 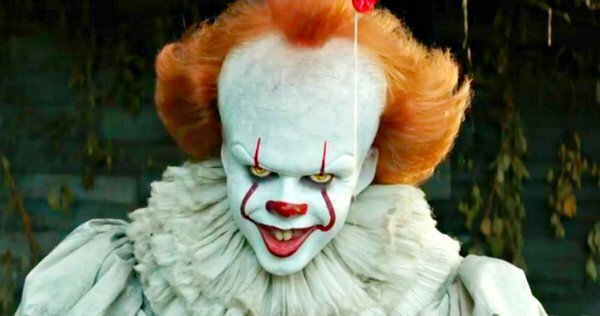 My only complaint with the prop is that his outfit is very similar to the Silent and Deadly Clown that came out a few years ago. His fingers are skinny and very creepy. You may want to flesh out his legs a little by adding some newspapers to make him look more realistic. The prop comes with a “Step Here” pad that is standard in the industry and has a built in sensor that activates him when people walk up to see what he does at you Halloween party. 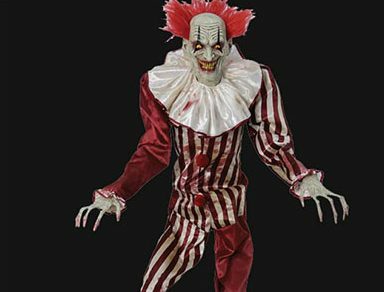 The 7 foot tall Evil Clown isn’t available yet and is only available for pre-order on a few sites. Mad About Horror has him up on their site but he has yet to show up on HalloweenExpress.com or SpiritHalloween.com. 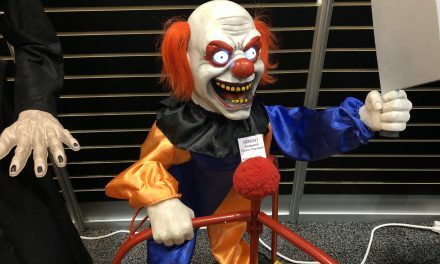 I saw the clown on Ebay a few weeks ago also available for pre-order. I would expect him to become available more sites later on this summer. If you do pre-order the prop he is expected to ship in August or September so you will have him before Halloween. If you want to add the clown to your collection he won’t come cheap. The suggested retail price is $229.99. You might be able to find it a little cheaper if you look around or wait until next year.